Celebrating the culture of the Brandywine Valley. 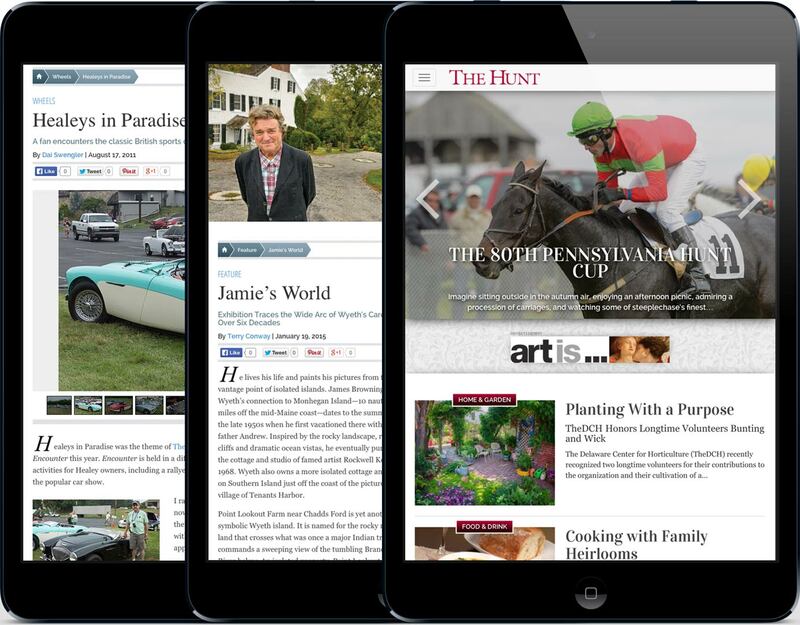 The Hunt is a high-end quarterly magazine targeting the Brandywine Valley region. The magazine's web presence is designed as an extension of the magazine, providing content and engaging the user throughout the year. The goal of maintaining the sophisticated brand via the user-experience was achieved with a creative homepage slideshow, modern web typography, clever media-queries, and HTML5 & CSS3 techniques.